The selection of dishes in croatian restaurants is really impressive, so everybody will find something that will suit him/her. In the picture above, You may see croatian specialities for breakfast or just a quick snack – delicious cheese (we recommend Pag cheese) Pršut, which tastes great with olive oil and local dry salami. 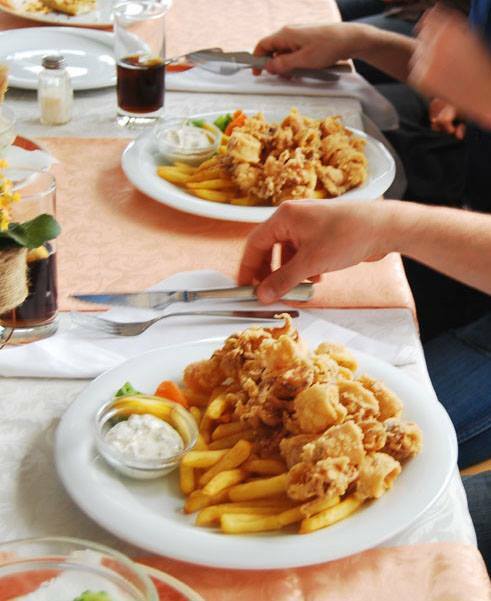 In our opinion, the best food Croatia has to offer comes from the sea: fish, scampi, shells, squids – all fresh and tasty! Breaded squids with sauce and fries – delicious! 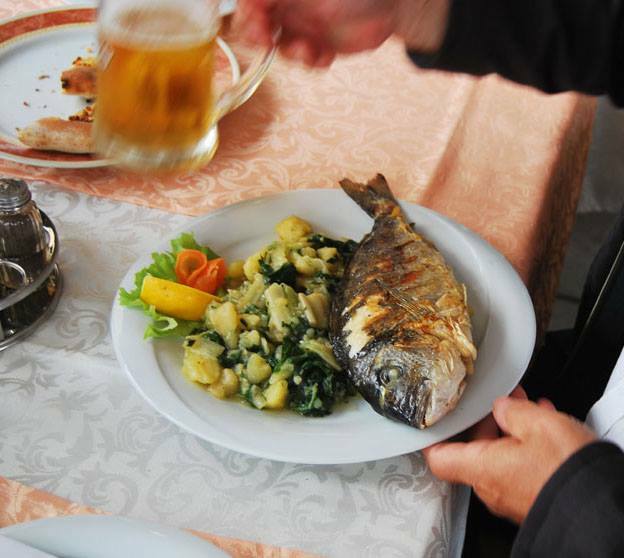 Grilled gilthead – with potatoes and boiled leaves with olive oil, garlic and salt -a dish certainly worth waiting for! 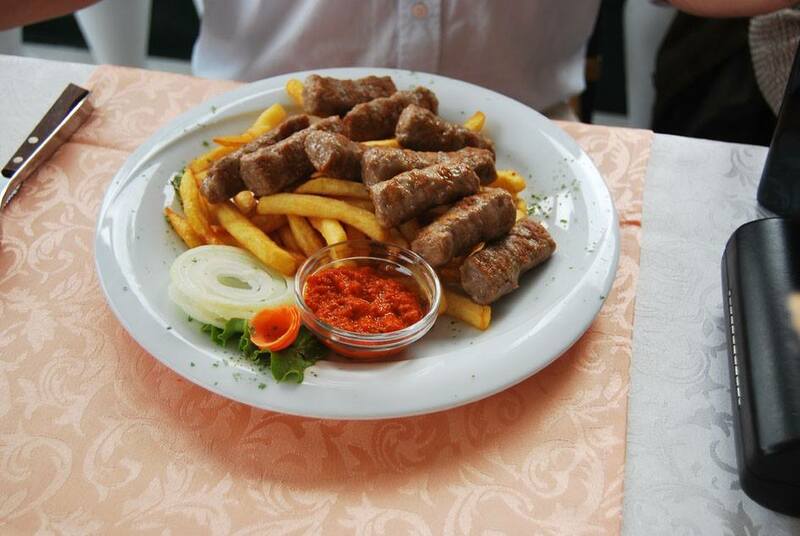 Ćevapčići with fries, onion and Ajwar sauce – a dish you can make at the grill area near our apartments – is a very common plate in Croatia. 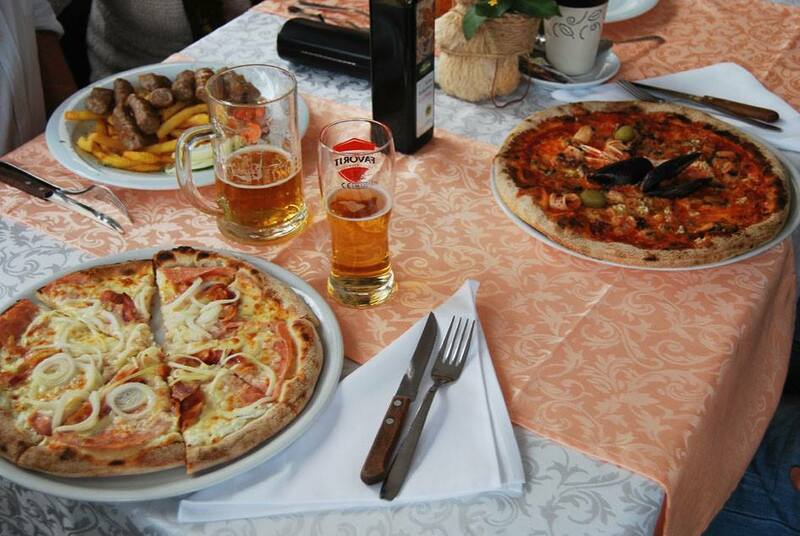 Many Croatian restaurants offer Italian food – pizza, lasagne, spaghetti to make decisions easier in case you can’t decide what to eat. They are all really tasty especially with Croatian beer or wine!